The Sawiris Foundation for Social Development is pleased to present its 7th annual Sawiris Cultural Award competition for the best literary works consisting of novels, collections of short stories, screenplays and playwriting. Entries for the 7th Sawiris Cultural Award Competition close on August 11, 2011. 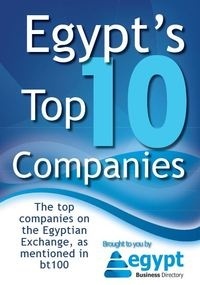 Winners will be announced in a big celebration in January 2012 in Cairo Opera House. The judges of the Cultural Award 2011 include independent well-known writers and literary experts. We wish all entrants good luck. Prizes: LE100,000 for the best novel & LE100,000 for the best collections of short stories. The first prizes for the best novel and the best collection of short stories are LE40,000 each. The second Prizes are LE30,000 each. Eligibility: submissions must be published during 2008-2010 and the age of young authors must be less than 40 (in August 2011). The prize: LE80,000 (for the first work written directly for the cinema or based on an Egyptian published literal work). Eligibility for Established Screenwriters: The screenplay must be unproduced until August 11, 2011. Entry scripts must be attached with a five-page synopsis highlighting the drama main theme. Eligibility for Emerging Screenwriters: entrants mustn’t have any produced screenplays. Their age must be less than 40 (in August 2011). If the screenplay is based on a literal work, applicants are requested to provide the approval of the author for the scriptwriting. Eligibility: No age requirement. submissions mustn’t be professionally presented on stage. Submissions must be attached with a five-page synopsis highlighting its drama main theme. - Applicants must be Egyptians. - Entries mustn’t have received any awards before Only one submission per Applicant. - Entries can be accepted from individual authors, cultural agencies, universities and organizations. - Applicant should send six copies of his submissions in addition to his biographies and a copy of his ID to the SFSD address: 10 Diwan St. Garden City, first floor, flat # 3 every day from 10:00am – 3:00pm except Fridays and Saturdays. Entries are received only during the period from July 3 till August 11, 2011.